The future is certainly belongs to renewable sources and electric cars! It’s profitable, environmentally friendly and progressive! Now electric cars can be ordered directly from US auctions, allowing to save up to 50% of the cost in Ukraine. 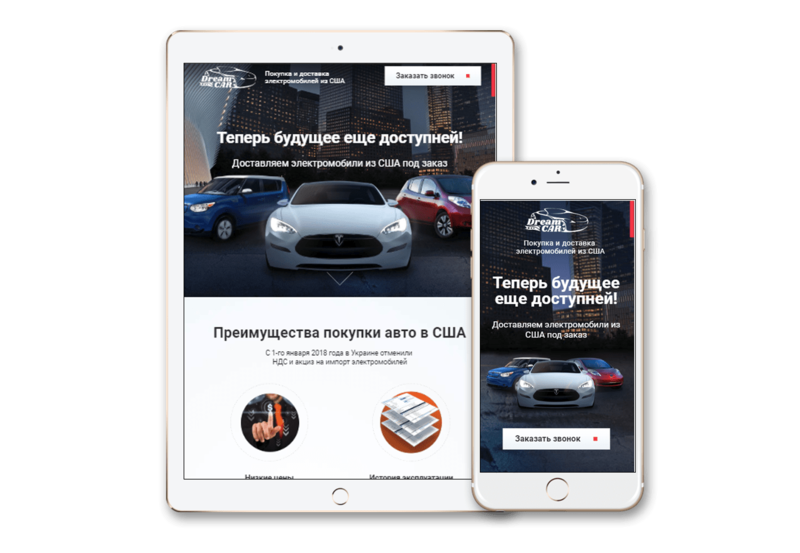 We have developed the laconic landing page for the Dream Car company, which provides this kind of services. The website has a clear structure and stylish design, presenting full information about all the nuances of purchase. 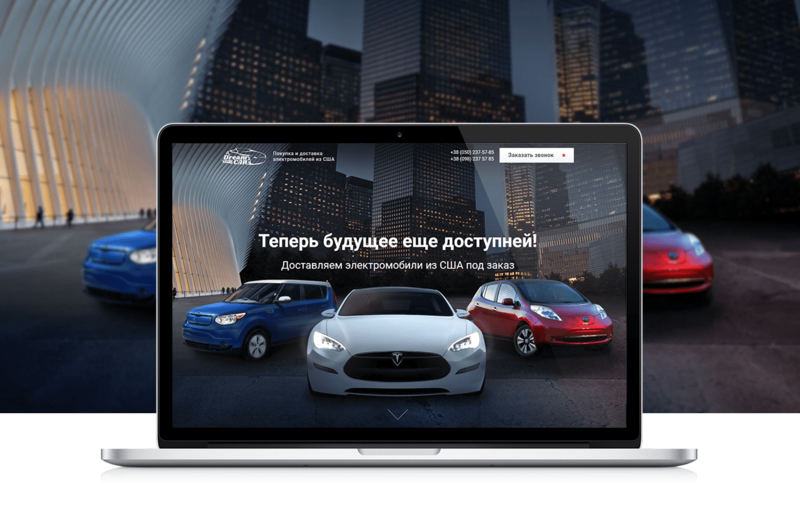 We tried to develop website that would be a convenient platform for communication between the client and the company, could build confidence in product and induce to buy electric cars. We are satisfied by the result: the site is launched, it brings profit to its owners and benefit to visitors.